4,000 Years of History in a Single Day! Multitude of artefacts found in the last days of field walking in the Isle of Axholme. 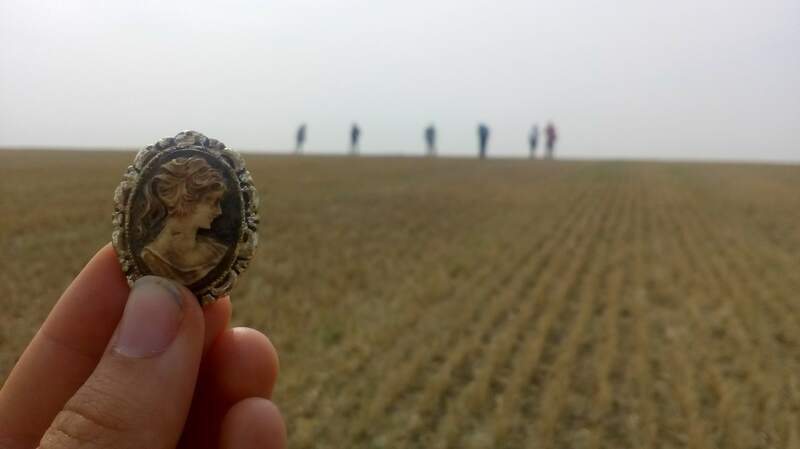 Volunteers have discovered a stunning range of artefacts during the last two days of field walking work for the Presenting the Past Project, part of the Isle of Axholme and Hatfield Chase Landscape partnership. Spanning from a beautiful brooch relief, to Roman pottery, to Neolithic weaponry, the artefacts were all found in the same field in the Haxey Parish. They hint at the long life this area has seen, and the multitude of people to have lived in it and call it home. The field was kindly made available to the project by local farmers, and was identified as being of particular interest when a previous geophysics session revealed an area of disturbance that caused suggestions of a rubbish tip, to a Roman Structure being on site. The work is all part of the Heritage Lottery supported Isle of Axholme and Hatfield Chase Landscape Partnership project which aims to help people reconnect with their landscape and cultural heritage. The brooch relief was the most modern find, being made of plastic it had probably not been there very long! The area hosts an annual festival, and so may represent a lost item from just such an event. The Roman pottery was identified as Roman grey ware – a particularly good spot from our volunteers as it looks very similar to some of the natural stone. The pottery may have been mixed into the soil at a later date as part of a manuring strategy, but it is always possible that it may also have come from a nearby, presently unknown, settlement. 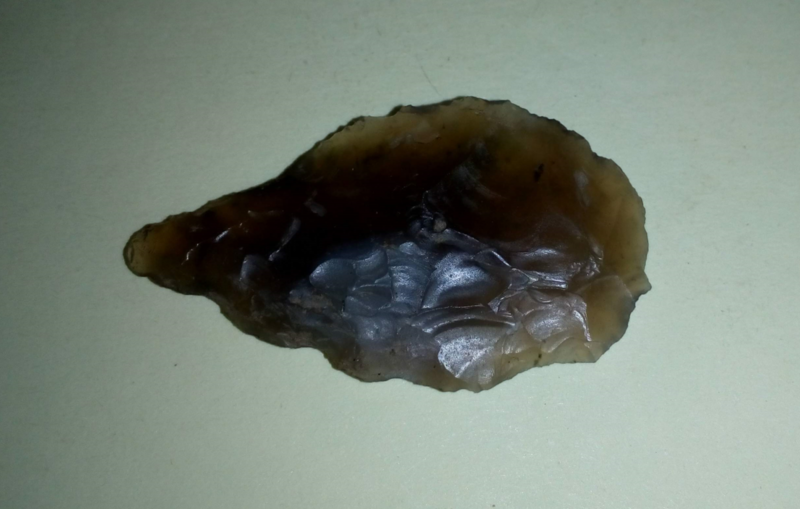 The Neolithic arrowhead was found in the afternoon by one of our eagle eyed volunteers. Whilst at the moment it hints of the prehistoric use of the site, we will now have to wait until it has seen our flint specialist to find out what else it could tell us. It was immediately apparent that the area of disturbance on the geophysics corresponded with an area which produced lots of finds, particularly CBM (ceramic building material). This probably means that if there was a structure there, it is more likely to have been relatively recent (e.g. Victorian). Coming to an end of this season of work on the project, we are able to look back at everything we have found. Other finds have included a Roman coin and possible medieval knife as well as lots of other pottery from a range of periods and styles. We have had fantastic support from a small team of volunteers who have been trained over the summer how to discover more about the archaeology of the area. With more events being planned for the end of this year and into 2019 – who knows what we will find next!